In this post: Free Christmas Printables and DIY holiday wall decor ideas. Get tips for printing and framing, along with inspiration to create your own custom look. 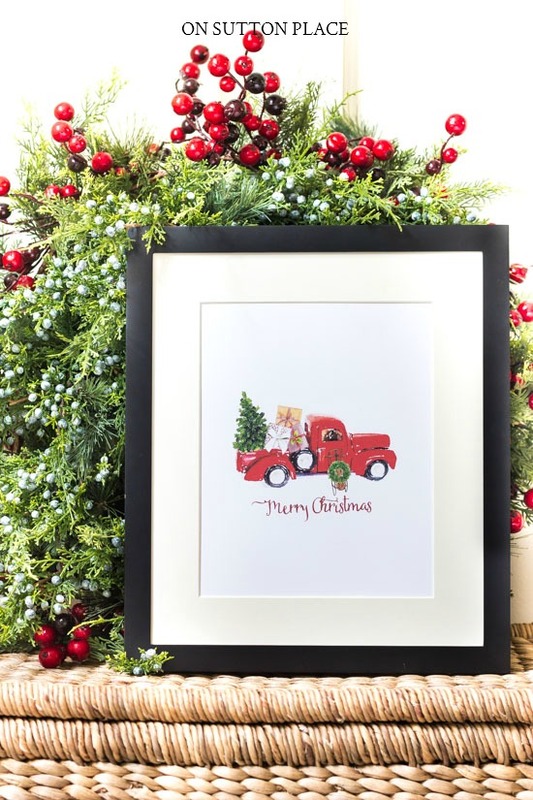 Fluffy pine trees, brightly wrapped gifts, and a festive red truck. All of these things remind me of being home for the holidays, so that’s why they are featured in this year’s collection of Christmas printables. Not only am I sharing my own set of printables, but at the end of the post, twenty five super-talented bloggers are sharing Christmas printables as well. More on that to come! These “home for the holidays” printables are the latest addition to the OSP Members Only Library. The library is a growing collection of printable wall art, banners, gift tags, ebooks, checklists and more. I believe that everyone should be able to decorate their home for the changing seasons…no matter what their budget. That’s why I offer free printables here on my blog. In addition to that, there is an exclusive, members only library that contains more printables that are not available to the general public. That’s where you’ll find these casual, farmhouse-inspired free Christmas printables. Use these high resolution printables to make DIY wall art, banners, cards and more. 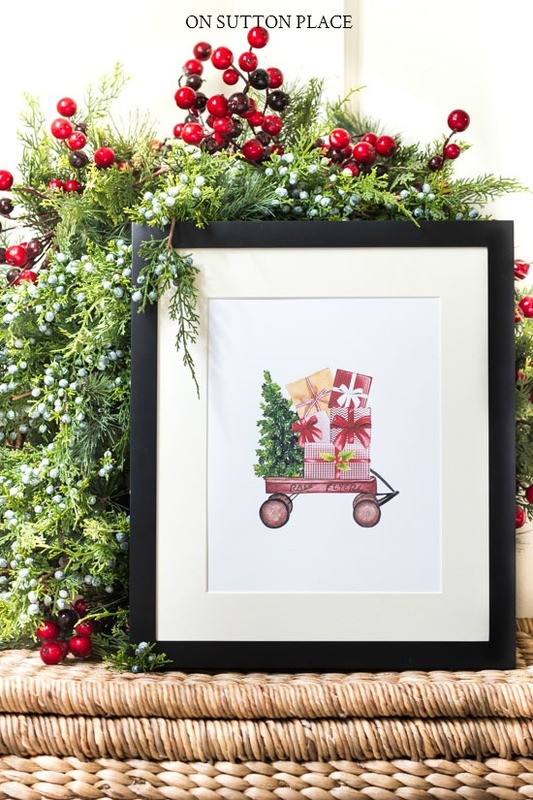 Frames with removable backs make it so easy to make your own seasonal wall art. You can even purchase already-cut mat boards. In just a few minutes, and for not much money, you can have custom wall art for your home. Please take a minute and visit my friends at the links below. Enjoy! 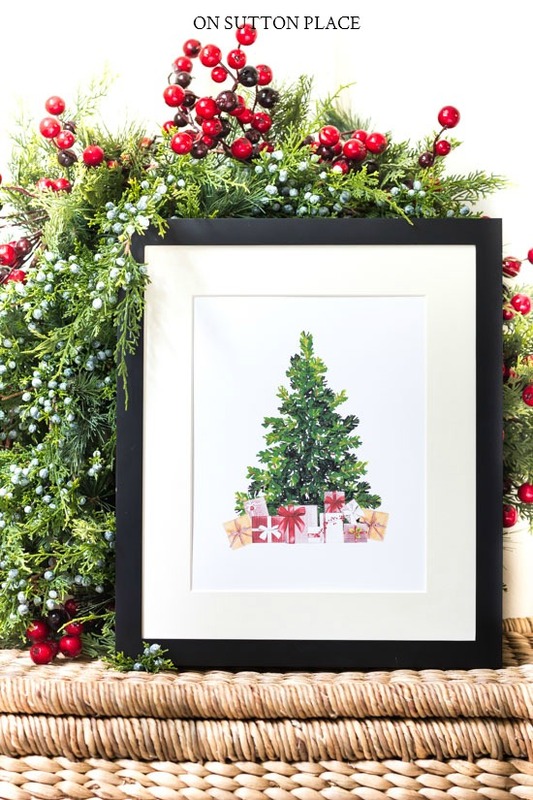 I can’t seem to find the download link for your beautiful free Christmas printables. Am I missing something? I seem to be going in circles. Help please. I love your site but Im having trouble locating AND downloading the Xmas tags with the wagon. I see them in the blog but I keep going around in circles. The only tags that I seem to be able to download are the ones with the boots. Can you help me? I sent you an email Leslie! These are so sweet. I love the presents in the wagon. Thank you for sharing! you use to make them? Love love love these, Anne! So stinkin cute! These prints are beautiful. I cannot wait to print and frame them. Thank you so much Ann for sharing. Hi Anne, I love your blog and these printables are so gorgeous, unfortunately it is turning to summer here in NZ so they won’t really go with my decorating scheme! Have a wonderful holiday season with your family and enjoy your Thanksgiving celebration next week. These are adorable!!! You always have the best printables Ann! These are so lovely. I adore all your printables. I don’t have a good color printer. Where can I get reasonably priced PDFs printed? Costco doesn’t do PDFs. Hi Joy…I sent you an email! love everything but still cannot get my printer to work!!! Maybe soon! Have a lovely Thanksgiving & will keep looking anyway! I love these, Ann. Love that red truck! 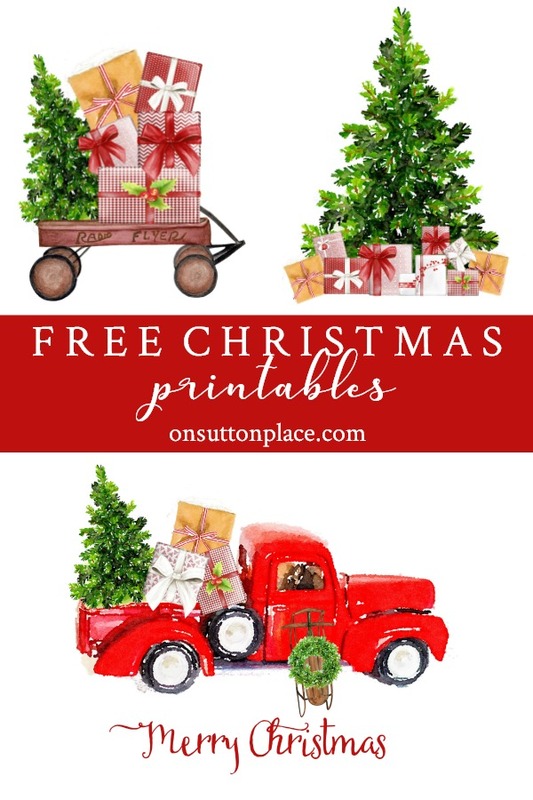 I have been an OSP subscriber for quite some time but can’t seem to find the NEW Christmas printable of the wagon, old truck and tree…HELP!! Hi Marianne…that’s my fault. I thought I was all set but when I added the new printables the link didn’t save. I’m sorry! It’s all fixed now. Thank you so much for your patience! These printables are so charming, thank you Ann. 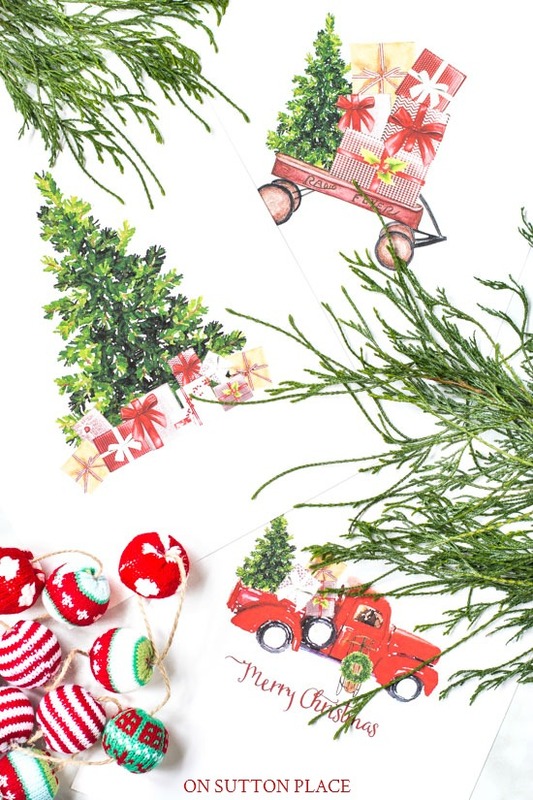 Thank – you so very much for the new selection of Christmas printables!!! I adore them!!! I have been downloading ALL of your printables now for several years and share them with my friends. I appreciate your generosity and thoughtfulness!!! Your printables are lovely! I was wondering if it would be possible to have printables, tags in French such as : Joyeux Noël, etc. It would be greatly appreciated. Merci! Anne, for some reason I’m unable to access the latest water colors. What’s up? Hi Linda…that’s my fault. I thought I was all set but when I added the new printables the link didn’t save. I’m sorry! It’s all fixed now. Thank you so much for your patience!